The all-star team from Chula Vista’s Park View Little League faces elimination from the West Regional After it lost to Las Vegas’ Silverado West Little League. Park View was held to two hits in a 5-3 loss Monday to Silverado West. Pinch-hitter Joseph Anderson doubled in two runs with two outs in the top of the third inning, giving Park View a 3-2 lead. Park View did not have another hit until Conner Alonzo’s one-out single in the sixth and final inning. Connor Apeceche retired the next two batters to end the game. 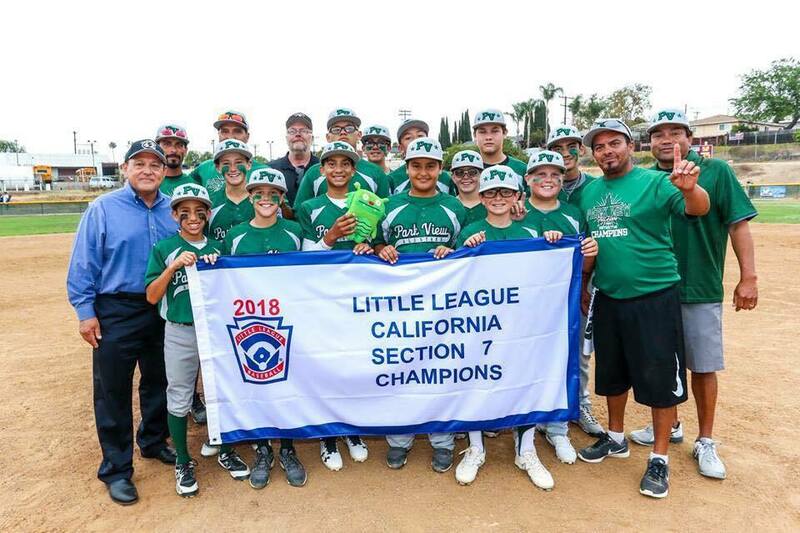 The loss was the first for Park View, the Southern California champion, after going 12-0 over four tournaments, including a 16-8 victory over the all-star team from the Tri City Little League in Rocklin, California, to open play in the West Regional. Silverado West, the Nevada state champion, is 10-0 over three tournaments. The game against Park View was its first in the West Regional. Allan Camarillo walked and scored on a wild pitch in the third for Park View’s first run. All three Park View batters who scored had walked. Silverado West scored three times in the bottom of the third to take a 5-3 lead. Broc Snider broke a 3-3 tie with a two-out, two-run single. Silverado West strung together three consecutive singles with one out to load the bases, then Joell Castro grounded out to drive in Kekoa Young with the tying run. Silverado West combined three singles and an error — all with two outs — for two runs in the first. Young, the Silverado West starting pitcher, was credited with the victory, allowing one hit and three runs over three innings, striking out five and walking five. Apeceche allowed one hit over the final three innings, striking out four, for the save. Jose Mendoza pitched a complete game for Park View, allowing five runs, three earned, and eight hits over five innings, striking out eight and walking two. Park View faces Tucson’s Sunnyside Little League in San Bernardino in an elimination game Tuesday. Sunnyside, the Arizona state champion, lost to the all-star team from the Honolulu Little League, 7-3, Sunday to open play in the West Regional, a modified double-elimination tournament. Sunnyside is 12-1 over three tournaments. The game will be livestreamed on subscription streaming service ESPN+ at 1:30 a.m. game from Al Houghton Stadium in San Bernardino, the site of the entire tournament.